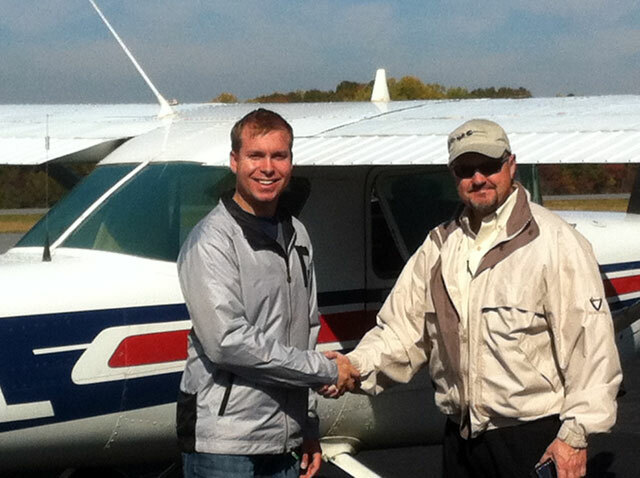 Mike Wright is congratulated by DPE Greg Hudson after successfully completing his Private Pilot Practical Test at Asheboro, NC (KHBI) in Empire Aviation’s Cessna C152 on November 3, 2011. 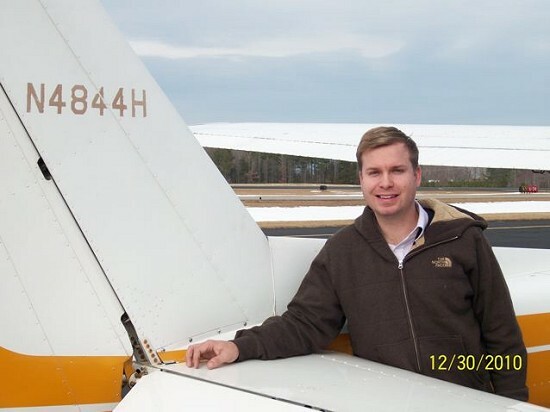 Congratulations, Mike!!! 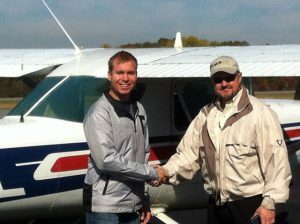 Here’s a picture of Mike after his first solo flight on 12/30/10 in N4844H at KHNZ.